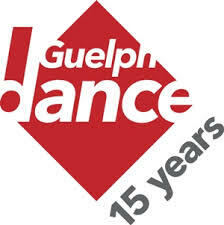 The Guelph Contemporary Dance Festival seeks innovative and experimental works. The Mainstage Series plays host to some of the most accomplished and innovative dance artists from across Canada. Works under 20 minutes will be chosen and performed in the 180- seat Co-operators’ Hall at the River Run Centre. Honoraria and assistance with travel costs are provided. A minimum of five years professional choreography experience is required. The Site-Specific Series will feature works no longer than 10 minutes, from professional dance artists. This is a family oriented series performed in Exhibition Park, a large park with trees, open spaces, and a play centre. Honoraria and assistance with travel are provided. The Youth Moves Series is open to all dance companies with performers under the age of nineteen. Works no longer than 10 minutes will occur in the Co-operators Hall, River Run Centre. The Noon-Time Series is open to emerging dance artists. These performances are created specifically for St. George’s Square, the public area located in the heart of downtown Guelph. Works should be under 10 minutes in length. The Off-Site Series is where dance meets visual art at the MacDonald Stewart Art Centre. A minimum of five years professional choreography experience is required. Honoraria and assistance with travel are provided. Applications are due on September 15th. Applications must include: a cv, a video, an application form and a membership fee of $25. Application forms can be downloaded from our website.